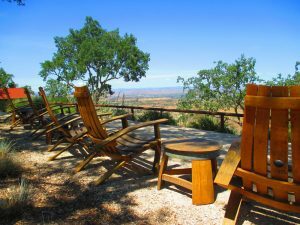 Are you looking for wineries to visit in Paso Robles? There are plenty of options, but which are the best? Paso Robles is home to over 200 wineries producing world-class wines. Finding the best wineries to visit can be overwhelming. Here at California Winery Advisor, we decided to give you a starting point. No list of top wineries will satisfy all wine travelers. We created a list of the wineries that provide consistently great service. These wineries mix excellent wines with beautiful grounds, comfortable tasting rooms, and some extras to make your visit special. We know how it feels to show up in wine country and just start driving. That can lead to some fun adventures. That can also cause you to waste the most precious commodity in Paso Robles wine country, time! Use this list to build an itinerary that matches your tastes and the amount of time you have to explore. Feel free to branch off if you pass by a winery that calls to you and let us know if you think it should be added to our next list. You will also need a place to stay in Paso Robles. We put together a list of the 12 best Paso Robles hotels for you. You can learn more about the Paso Robles climate, soil and grape types on our Paso Robles wineries home page. This is a good place to start your education and planning.  If you don't have time to visit one of the best Paso Robles wineries, you can still find great Paso Robles wines at a number of online stores. Here are some of our favorite Paso wines. Once you have a feel for the region, you may proceed to our picks! Would you prefer a professional to set up a Paso Robles wine tour for you? Our partner Wine Wrangler offers the best tour options in Paso! Click here to learn more. Situated on a small hill above Route 46 on the east side of Paso Robles. Eberle features beautiful grounds and an amazing wine cave. Even with the easy access from highway, The winery layout makes you feel like you are at a secluded vineyard deep in wine country. Play bocce, sip wine on the expansive deck overlooking the vineyard or enjoy the lively tasting room. The cave tours are a must and you can even schedule a private tasting and food pairing in an exclusive corner of the cave. Wine tastings and the cave tour are complimentary for groups under 10. The owner has a big personality and this is matched by his wines. If not for a bad knee, Gary Eberle may not have become a wine pioneer in Paso Robles. He was headed for a career in the NFL before it was cut short. Notice the boar sculptures and imagery throughout the winery. Gary's last name Eberle roughly translates into strong boar. Stephan Asseo transformed a former barley farm into one of the most beautiful wine tasting spots in Paso Robles. The drive out to their Paso Robles tasting room takes you through rolling hills dotted with ancient Oak trees. The feeling of serenity only increases when you reach the vineyard. A large barn is the centerpiece of the property, but that is all changing. A newly constructed tasting room, wine cave, and administrative office bring a nice modern counterpoint to the barn. Stephan rebelled against the stifling regulations of the French wine industry. He felt he could do more by introducing new varietals in his blends. We think he was right to fight for his right to be more creative. Wine tasters are rewarded for his stubbornness with his wonderful 2013 Estate Cuvee. A blend of Syrah, Cab and Petit Verdot. Daou Vineyards is elevating the wine tasting experience in Paso Robles wine country. At the same time, they are challenging the notion that California's best Cabernet Sauvignon comes from the Napa Valley. Daou offers visitors a uniquely beautiful hilltop spot. Here they can enjoy award-winning Daou wines expertly paired with a gourmet meal or in a tasting flight. The views are reason enough to visit this Cab powerhouse, but the wine is what brings people back. The Daou family bring a unique history to the Paso wine scene. The brothers Daou are tech entrepreneurs, but they have devoted themselves to mastering the art of winemaking and hospitality. A visit to Daou will confirm they are well on their way. We are excited to add Epoch Estate Wines to our list of the best Paso Robles wineries. Epoch Estate Wines is definitely off the beaten path. The winery and tasting room are about as far west as you can get in Paso Robles wine country. A winding road through the thickly wooded countryside brings you there beautifully designed tasting room. The juxtaposition of the modern concrete structure and the rolling hills, oak trees, and fields that surround it works somehow. A welcoming patio area greats you and the Adirondack chairs beckon you to sit and relax with your glass of wine. Epoch is the creation of Liz and Bill Armstrong. 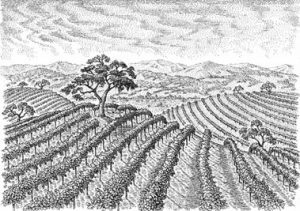 They own several Paso Robles vineyards and produce world-class wines using Rhone Varietals, Zinfandel, and Tempranillo. A transformed York Mountain Winery is their base and the location of the lovely tasting room. Don't let the drive discourage you. The beauty of the winery and the quality of the wine makes it worth the trip. Make sure you make your reservations in advance. It's no fun to drive all the way out to Epoch only to find out you can't taste. the window and just beyond the deck, it's understandable if you want to hang out for a while. Spend your time getting to know the lineup of bold red wines that are making Jada famous. The Jersey Girl is a favorite of many visitors. Make sure you add a cheese pairing to elevate your tasting. The tasting fees are little higher than most in Paso at $15 and you will pay an additional $3 for the cheese pairing, but it's well worth it! Jada is in the process of converting their vineyards to biodynamic growing practices. Some of the current releases are from vines that were already converted. See if you can taste the difference. This is a truly unique winery. The magnificent wrought iron gate at the entry gives you the first taste of what is to come. After a short drive through vineyards, you are greeted by the sculptures the winery gets its name from. There are a number of artists whose works are on display throughout the gardens and in the tasting room. 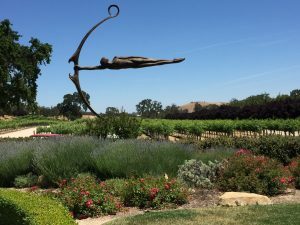 The sculptures are set in beautiful gardens that surround the building housing the tasting room. The gardens include a demonstration vineyard and a stage set around a large oak tree that is used for events. Make sure to try the excellent Rhone Style and Bordeaux blends when you visit. "There is firm empirical evidence to the effect that yeast and other varied wine pathogens die of boredom unless given an interesting environment within which to practice their art. Thus, at Le Cuvier, we have firmly dedicated ourselves to making life as interesting as possible, while leaving the entire process of winemaking in the hands (so to speak) of the wild beasties. Indeed all human efforts in the effervescent process are evanescent." The winery serves small snacks with the tastings and charges $15 per person. The fee is waived with a bottle purchase. It's best to call ahead if you are planning to visit. No winery captures the old west feel of Paso Robles better than Tobin James. The winery was built from the ground up on the location of an old stagecoach stop. 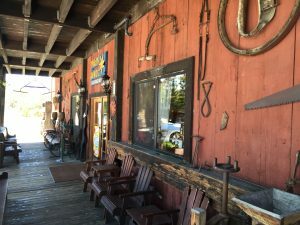 The wine tasting room transports you to an old west saloon. The staff pouring the wine is friendly, knowledgeable and add to the overall enjoyment of tasting experience. Tobin James is also legendary for their wine club. The "James Gang", as it is called, is rumored to be the largest wine club in the world. Tastings are free and there is an extensive list of wines you can taste. Make sure you get a taste of the Blue Moon zin if it's available! Check out the Tour Taste and Tailgate package. 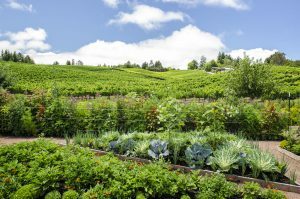 This is a fun way to learn about the connection between vineyards and the wines they produce. As you tour the vineyards, you will stop and taste wines that are produced from the vines surrounding you. This tour is by appointment only and costs $50 per guest. 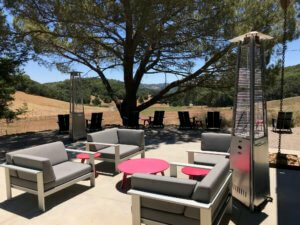 Halter Ranch has a new state of the art winery and tasting room. Cross the quaint covered bridge onto this historic property and get ready to enjoy some of the best wine on the Central Coast. You can choose from a number of tasting and tour options. The winery offers a complimentary tour of their caves and the winery grounds. This tour lasts about 45 minutes and will give you a nice overview of the ranch's history and winery's plans for the future. You can also reserve the Excursion Tour for $45. This is a three-hour event. You start with a driving tour of the vineyards. At the highest point on the property, you stop for a tasting of their reserve wines. 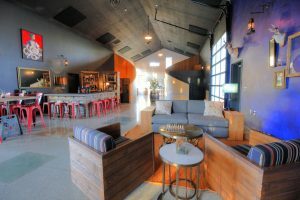 The tour continues to their newly constructed winery to learn about winemaking and then finishes up in their exclusive member's lounge. In the lounge, you are treated to a tasting of their current release wines. Every year we are forced to make tough decisions. The top Paso Robles wineries change. 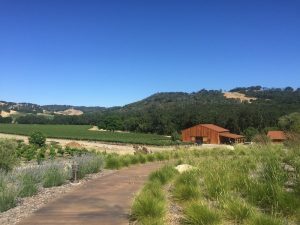 New wineries open, existing wineries step up their game and some of the top wineries slip a little. We keep a record of wineries that made our best of Paso Robles in prior years so you can check them out and decide for yourself if they belong on your list. With around 1.5 million cases produced a year, this is no small winery. J. Lohr was started in 1974 in San Jose and has grown to be one of the largest producers in the state. They are still a family owned business and they have a deep commitment to sustainability and eco-friendly practices. Their facility in Paso Robles dedicates three acres to a solar energy installation that helps offset a large percentage of their energy use. 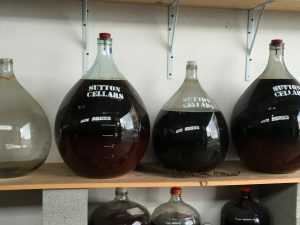 You can pick up a bottle of J. Lohr at most of the bigger wine retailers, but some of their best wines are only available through their Paso Robles tasting room. The tasting is complimentary and the winery is dog-friendly. This is a great place to kick off a day of Paso wine tasting. The Meritage Isosceles made Justin perhaps the most well know Paso winery outside of the Central Coast. In 2000 the 1997 vintage of Isosceles was named the sixth best wine in the world by The Wine Spectator. 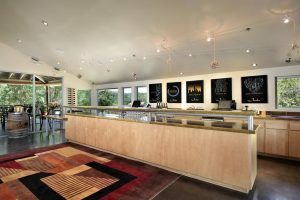 There have been some changes at Justin recently, but it should still be on your list of wineries to visit. 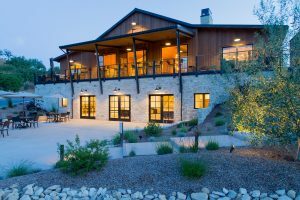 Located in a beautiful rustic corner of Paso Robles, the winery features a beautiful tasting room, an Inn, and restaurant on site. You can hunker down and really get to know the wines or use it as a base to explore the surrounding wineries and vineyards.